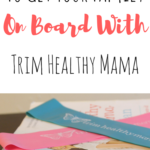 You are here: Home / Trim Healthy Mama / How to Make Trim Healthy Mama “Stick” in 2017! Chances are, you’ve set some lofty goals for yourself and if you’re reading this, one (or more!) 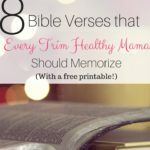 of them has to do with Trim Healthy Mama. Whether you’re just starting out or re-starting after a rocky year, here are some tips to help 2017 be your healthiest year yet. Think about what worked last year and what didn’t. What were your triggers? What discouraged you? What were your favorite meals? What foods turned you off? Evaluate these things and make the changes needed to make things go smoothly this year. 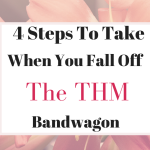 Re-read your THM books! Try to read the book with new eyes. I’ve found there is always something I’ve overlooked or might have forgotten. Make it fun. 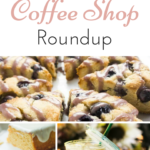 Find new favorite recipes, get some cute new accessories (I love the new THM Sippers from the online THM store!) and get excited about making this awesome change. Go into it with a mindset of changing your lifestyle for good, not just until you lose the weight. When you change your lifestyle, you think long-term and are more likely to stay with something! Having more at stake than just weight loss helps you keep things in perspective and weigh what’s truly important. I highly recommend joining the THM Facebook groups. There are so many that cater to specific needs, budget-friendly, recipes, and of course, the official THM Main Group which is always hopping! It’s fun to gain meal ideas and inspiration from other ladies, plus if you need any questions answered there are literally thousands of friendly faces waiting to jump at the chance! If things are feeling too overwhelming, step back and simplify! Make easier meals, use your crock-pot and plan ahead to keep life easy. I’m a huge fan of meal planning because it keeps me on track and saves money! Having a game plan is a lifesaver on days where you’re tired or emotionally susceptible to going off plan. I like to keep a freezer meal or two on hand for those days that life gets crazy. 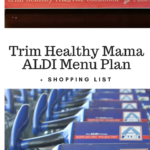 If you’d like to see how I menu plan you can find that information here. Let’s make 2017 our healthiest year yet! 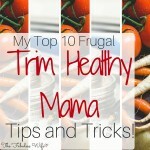 My Top 10 Frugal Trim Healthy Mama Tips and Tricks! Thank you for the encouragement. I enjoyed reading your tips.